The most complete guide to resume development and interviewing. Only 5% of resumes are ever reviewed, in any depth. 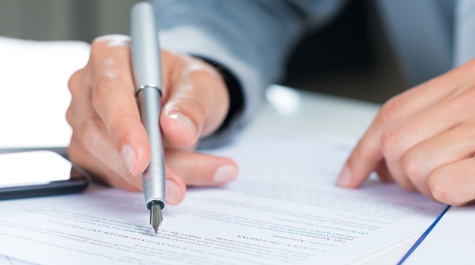 Developing a resume that gets noticed is essential to a successful job search process. A job interview checklist that will guide you through the interview-preparation process, ensuring the best possible outcome for your next job interview. Learn the correct way to develop an effective resume if your fresh out of college. Apply our advice and you'll get your foot in the door. Make sure your resume includes everything it needs to effectively support your job search efforts. 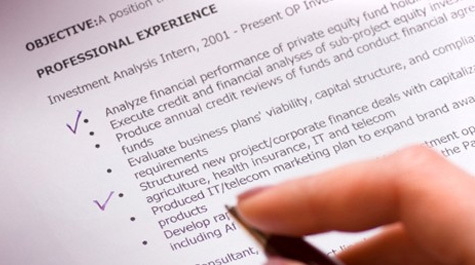 15 tips for creating a resume every serious resume writer, student or job seeker should know. 40 of the most common interview questions, as well as the correct answer to each. The STAR model for answering behavioral and competency-based interview questions. You never get a second chance to make a first impression. The impression you give a potential employer via your resume or an interview is usually your only opportunity to communicate that you're the right person for the job - so make it count. Whether you're seeking a greater income level, positioning yourself for a career change, or returning to work for, a strategically developed, well-crafted resume is your first opportunity to create a winning impression. Below you'll find our editor reviewed selection of resume, cover letter, and curriculum vitae writing tips, sample resumes, cover letters, thank you letters and job search correspondences. 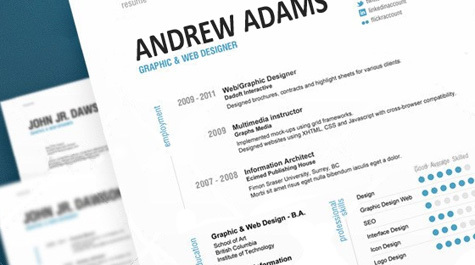 While all resumes should employ a best practices approach to formatting and presentation, what you include in your resume should be customized to address the unique aspects of your career field. Below you can learn more about resume development for specific career fields. While a resume is typically your first impression to a hiring manager or prospective employer, it's your interview that really counts. It your interview that convinces an employer that you truly are the right person for the job. Below you'll find a comprehensive selection of editor reviewed guides, articles and resources for conducting effective job interviews. Problems solving and decision making skills are highly sought after by most employers. Knowing what recruiters are looking for, and how to effectively answer problem solving and decision making interview questions is imperative to landing competitive jobs. Are you a critical thinker? Can you think analytically? Are you good at brain teasers? Well you better be able to prove it. Being able to think critically is a very important skill that employers are looking for. But being able to demonstrate this skill during the interview process is just as important. Many very skilled job seekers get passed by because they get "out interviewed" by less qualified candidates. Whether you're an aspiring engineer, doctor, educator, or scientist, your ability to effectively communicate will be your ticket to career success. The number one skill that employers are looking for in a job candidate is the ability to communicate. You may be the smartest person in the world, but if you can't communicate your knowledge effectively, it won't matter. Before you enter a job interview make sure that you're able to show that you can effectively communicate your personal value to your prospective employer. For many job positions organization skills are a necessity. This is especially true for supervisors and project managers who are responsible for managing teams, multiple responsibilities, and diverse projects, as well as meeting critical deadlines. As business and industry has becomes more diversfied and complex, teamwork skills are increasing vital to the success of most organizations. Teams are required to tackle large projects and resolve problems that are too complex for any one professional to handle. As such, employers are looking for professionals that are not only team players but also know how to manage and lead teams. Being able to show an employer that you're a teamplayer and effective leader should be a critical element of your interview strategy. While most interviews include a combination of leadership/management, organizational and behavioral questions, there are several interview skills and techiques that are unique to specific careers. Below you can learn more about interviewing for specific career fields.